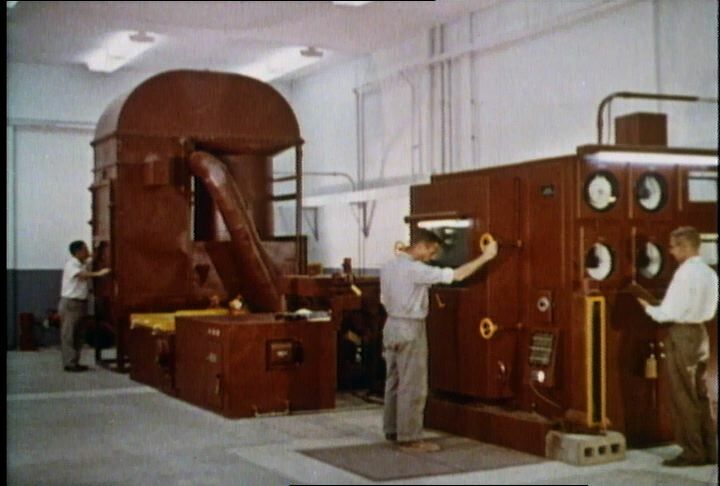 This film discusses facts about nuclear weapons and how nuclear energy works. Chicago: “War and Peace in the Nuclear Age; Bigger Bang for the Buck, A; Stay Safe, Stay Strong,” 01/01/1960, WGBH Media Library & Archives, accessed April 25, 2019, http://openvault.wgbh.org/catalog/V_BB47A824A1AD48A7ABD17D0930064174. MLA: “War and Peace in the Nuclear Age; Bigger Bang for the Buck, A; Stay Safe, Stay Strong.” 01/01/1960. WGBH Media Library & Archives. Web. April 25, 2019. <http://openvault.wgbh.org/catalog/V_BB47A824A1AD48A7ABD17D0930064174>.